Good morning friends. I am writing to you from Salt Lake City where I am attending the Salt Lake Institute of Genealogy presented by the Utah Genealogical Association. The folks from UGA certainly know how to throw a party. Last night we were welcomed with a light buffet and given our binders for the educational track we had chosen. I am taking American Research and Records with Paula Stuart-Warren. If you haven't read Paula's blog, Paula's Genealogical Eclectica, I recommend that you go over and visit. She has some great tips for your genealogical research. I met Paula last night and am looking forward to learning from her and many other phenomenal instructors this week. My schedule includes classroom instruction this morning and then this afternoon we will head over to the Family History Library. This is my Super Bowl. I find it that exciting! Did you see my son role his eyes? Look for my updates each day. Salt Lake City is amazing. I was so busy getting my research ready for the trip that I didn't research the physical area. It is shockingly beautiful. SLC sits in a flat bottomed bowl surrounded by mountains. I can see why the Mormon Pioneers decided to settle here. Would Pooh Have Made a Good Genealogist? A list can make a day feel like a bother, particularly when it is filled with to dos you would rather not do. Perhaps Pooh is better suited to spending time with Piglet and eating honey than going on a hunt, especially one requiring a list. But I know you are here because you love a list filled with genealogy to dos. You love the hunt, as do I! Where Is the Special Place? "1. Special Place (To find Piglet.)" While you have learned about what sort of relation your ancestor was, undoubtedly you uncovered some possible areas he may have lived. Before you create your research plan, find out more about his special place or places during the time he lived there. Learn about the laws, industry, religions, organizations and geography. Use the links above to search for places and also use map websites to see locations near or related to the special place. It is helpful to know if the place is located on a border, or has been located within multiple places within its existence. Well friends, I think it is about time I went and had some tea with honey. Thank you to Pooh for his timeless wisdom. 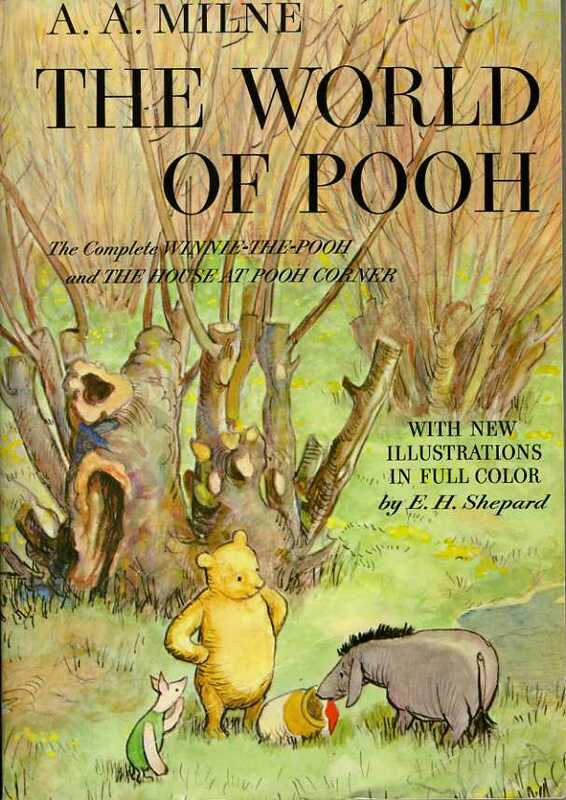 A.A. Milne, The World of Pooh (USA: E.P. Dutton, 1957), 191. 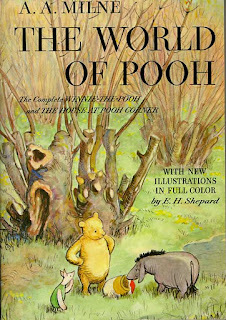 Milne, The World of Pooh, 191. Scrapbook Sunday: If You Can't Interview, Remember! I listen while my father talks. Like many of you, my family history research intensified after the death of my remaining living grandparent, my grandmother, Barbara. While I listened eagerly to her stories of our family's past, I never sat down and interviewed her. This post is not, however, about what could have been. It is about what you can do if you didn't interview your parents, grandparents or other lost loved ones. It is about how to bring the memories hiding in the recesses of your own cobwebbed brain out into the light of day. Let's remember the stories we have heard and write them down. The assignment for Week 4 [Day 7] of the Family History Album Class is to spend some time answering questions about our parents' or grandparents' lives. Jessica Sprague asks us to close our eyes, let ourselves travel back in time and be in the moment before we answer them. In effect we are interviewing ourselves about what we have learned about our ancestors. Remembering was emotionally intense for me. It's one thing to tell the facts, it is quite another to think about what life was like and the emotions our ancestors may have experienced. Three of my grandparents had difficult childhoods. I have heard the stories, but the act of processing it and writing it down was a challenge. After I had written a page, I realized that these stories won't be shared on my blog. It's still too recent, still too fresh. Plus, these are my hazy memories of what I have heard and been told and it is likely that they are not entirely accurate. The memories I put down today are based on stories I have heard. Are they the truth? Yes. Are they factual? No. In genealogical research family stories are akin to family legends. There may be elements of truth to the memories, but they must be treated as what they are, stories. This applies whether you are directly interviewing your grandmother or you are remembering and putting down on paper the stories she told you. She could get it right or wrong and so could you. Memories are like that. Here is an example. My mother-in-law told us the story of her father going to visit family in Oklahoma. Through research and a fortuitous connection on JewishGen.org, I discovered that her father had indeed visited family in another state, but it was Iowa, not Oklahoma. There were elements of truth in her story. Her father had traveled across the country to visit family, but some of the details were incorrect. As family historians we need to be open to both the possibility of truth and falsehood in the stories we collect. Oh, the stories they will tell! If you would like more information about conducting family histories, visit Cyndi's List. She has an excellent collection of links for collecting oral history. Mary Ann Hoberman, Fathers, Mothers, Sisters, Brothers (New York: Penguin Books USA Inc., 1993), 5. Each day I will live. While I live, I will learn. What I learn I will practice. When I have practiced, I will share. Each day I will give. Welcome to 2012! It's time to start thinking about scrapbooking your family history. Whether you are a digital or paper scrapper, you can participate in this weekly blogging theme. 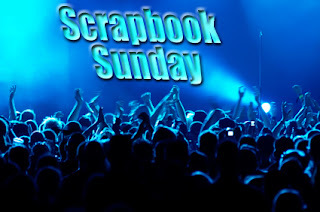 If you create a project to display your family history or genealogy, publish it in a blog post with Scrapbook Sunday in the title. This is an open group. Jackie Baker of Jackie's Genealogical Journey gave a shout out to our Virtual GeneaScrappers' group on her blog, Jackie's Genealogical Journey, Thanks, Jackie! Jennifer Alford of Jen-Gen's Family History interviewed her Dad about his memories. Her Dad surprised her with his own questions and answers later. His questions were thought provoking and you may want to add them to your own family history interview repertoire. According to Jennifer, sharing your stories can bring your family closer. Stephanie Fishman of Corn and Cotton did some blog scrapbooking when she participated in the GeneaBloggers Advent Calender of Christmas Memories series. She shared photos and memories in letters to her daughter. Valerie Elkins of Family Cherished gave us Tips to TellingYour Story So People Will Listen. Telling the story is just as important as the pictures that will accompany it. Jenna Mills of Desperately Seeking Surnames motivated me to redecorate my blog. Check out her new blog header and this beautiful digital Christmas collage. Yvonne Garrett of The Adventures of Garrett Squared and the newest member of the Virtual GeneaScrappers, has been working hard on her Family History Album and has added her creative flair to the project. There are many more unsung family history scrapbookers out there. If you would like to have your blog included in our Virtual GeneaScrappers group, leave a comment below. We can learn so much from each other and provide motivation and inspiration as well. For 2012, I will be offering you several choices each week. Participate as often or as infrequently as desired using one of the supplied prompts or one of your own design. 1. Scrapbooking Family History Album - Week 4: Spend some time on the Day 7 assignment for Interviewing and Remembering. Create a post about how thinking a little more deeply about your ancestors' lives can assist you with telling their stories. 2. New Year Scrapbook Page: Create a page or pages about how you spent New Year's Eve in 2011 or how your family has spent New Year's Eves in the past. 3. New Year Genealogy Goal: Do you have particular family or individual you plan to research in 2012? Create a page with what you know and what you would like to discover. 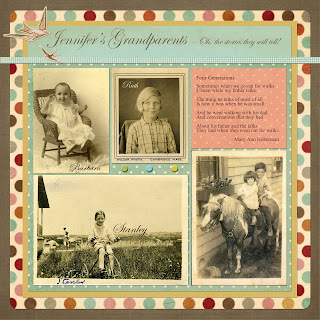 Hope this blog post has given you enough family history scrapbooking ideas to get you motivated. Let me know how it goes for you!